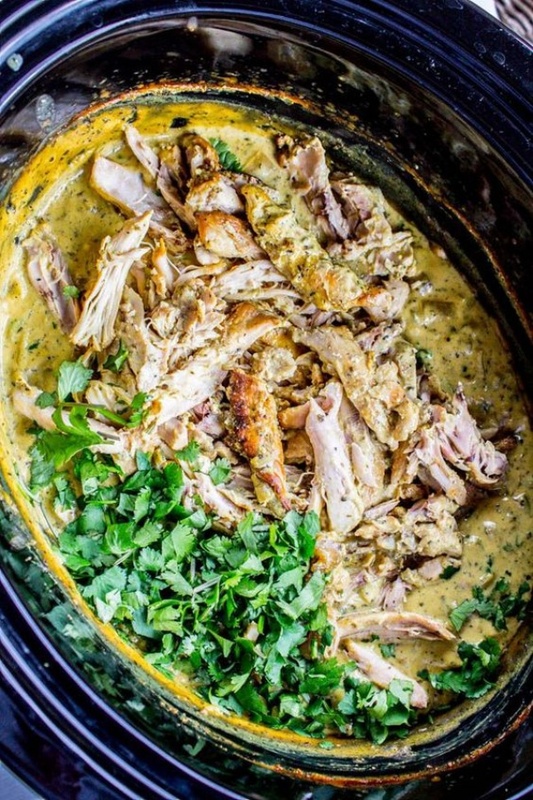 Slow Cooker Basil Chicken in Coconut Curry Sauce By Karen from The Food Charlatan. Slow cook your way to one of the best chicken curries I’ve ever had! The sauce has coconut milk, jalapeno, and red onion. It’s not too spicy, but has tons of flavor!